Glacher Lustwerk: An idiosyncratic deep house DJ and producer who habitually talks/raps over his sets in his own very unique way, the combination of musical content and originality of presentation have earned high critical regard and an increasingly rabid fan base. On a label not short of distinctive sounds, Galcher Lustwerk brings the all-important quality of deep mood and atmospheres that focuses their events so tightly. XDB is Kosta Athanassiadis – German by birth and in residence, with Greek parentage. His roots are in the central German town of Göttingen. It was here that he began DJing in the early nineties; where he worked in a record shop; where he ran a radio show for five years; and the base from which he established the Metrolux record label in 2006. For many people, it was at this point that XDB appeared on their radar. His debut ‘Jackintosh EP’ and the following ‘Descap EP’ made a splash with heads, but whilst the shimmering dub techno moments were perhaps the most obvious hook, subsequent tracks defied easy categorisation – an early indication that the person behind the music took a broad view of electronic music, caring not for stylistic pigeonholes. Further releases mapped out more of a defined aesthetic for the label, with XDB’s own work sitting alongside contributions from Atheus and Arne Weinberg. By 2007, Kosta’s music had caught the ear of other outlets; including Francois Kevorkian’s Deep Space Media (a sublabel of Wave Music) licensed ‘Descap’ and ‘Descap live’ for re-release. Brendon Moeller was the A&R at that time and a 4 track EP on Wave Music followed in 2009. The same year, Patrice Scott put out the first XDB release on his own Sistrum Recordings, which saw Kosta tailoring his output to a cleaner, more Detroit-inflected sound. In tandem with his production work, XDB the DJ was coming into his own. An avid collector of vinyl since his childhood (Kosta’s collection presently numbers some 10,000 records); he had honed his craft in clubs and on the radio – mixing monthly on his own ‘Case Check’ show. 2008 brought an early highlight – spinning at Japan’s lauded Labyrinth festival alongside the cream of the international deep techno and house scene. Kosta’s DJ sets draw upon his expansive record collection, playing right across the board of electronic music. He has no shortage of technical skill but it’s his selection that truly shines – putting the music itself at the forefront, letting songs breathe when need be, and delivering plenty of head-scratching ‘what the hell is this track?’ moments. Throe is the moniker of Washington D.C. based DJ Peter Kaufmann. A long time dance music aficionado, his skills as a selector are supported by a curiosity and plain passion that ignores rigid genre boundaries. A brief run through of past shows confirms this fact. 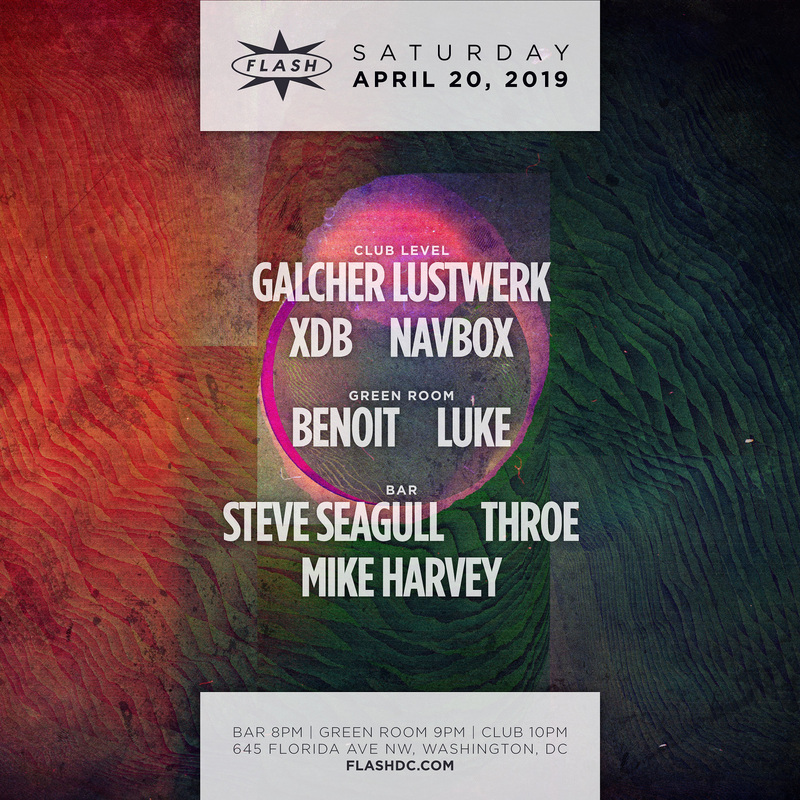 He has served as both headlining talent and as an opener for a diverse array of respected dance music names including Leon Vynehall, Mathias Kaden, George Fitzgerald, Till Von Sein, Bambounou, Jeremy Underground, Jacques Greene, Norm Talley, Pangaea, and many others. With a knack for moving seamlessly between house, techno, and disco, his sets are additionally characterized by free-flowing energy and an organic combination of classic, current, and progressive sounds. He plays regularly throughout the D.C. area, taking control of the decks at globally recognized venues like Flash, U Street Music Hall, Eighteenth Street Lounge, and the Velvet Lounge. In addition to his years of experience DJing, he is the co-founder of #BODYFEEL -- a monthly showcase that has spotlighted cutting edge local & international dance music talent since its inception in 2014. Throe is currently represented by DC based BFF Bookings.